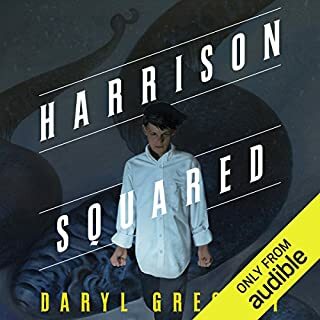 Harrison Harrison - H2 to his mom - is a lonely teenager who's been terrified of the water ever since he was a toddler in California, when a huge sea creature capsized their boat, and his father vanished. One of the "sensitives" who are attuned to the supernatural world, Harrison, along with his mother, has just moved to the worst possible place for a boy like him. It begins in Toronto, in the years after the smart drug revolution. Any high school student with a chemjet and internet connection can download recipes and print drugs, or invent them. A seventeen-year-old street girl finds God through a new brain-altering drug called Numinous, used as a sacrament by a new Church that preys on the underclass. But she is arrested and put into detention, and without the drug, commits suicide. Lyda Rose, another patient in that detention facility, has a dark secret: She was one of the original scientists who developed the drug. It is a world like our own in every respect, save one. In the 1950s, random acts of possession begin to occur. Ordinary men, women, and children are the targets of entities that seem to spring from the depths of the collective unconscious, pop-cultural avatars some call demons. As a boy, Del Pierce is possessed by the Hellion, an entity whose mischief-making can be deadly. With the help of Del's family and a caring psychiatrist, the demon is exorcised... or is it? Knowledge is power. So when an unassuming Manhattan bassist named Will Dando awakens from a dream one morning with 108 predictions about the future in his head, he rapidly finds himself the most powerful man in the world. Protecting his anonymity by calling himself the Oracle, he sets up a heavily guarded website with the help of his friend Hamza to selectively announce his revelations. In no time global corporations are offering him millions for exclusive access, eager to profit from his prophecies. Charles Thomas Tester hustles to put food on the table, keep the roof over his father's head, from Harlem to Flushing Meadows to Red Hook. He knows what magic a suit can cast, the invisibility a guitar case can provide, and the curse written on his black skin that attracts the eye of wealthy white folks and their trained cops. But when he delivers an occult page to a reclusive sorceress in the heart of Queens, Tom opens a door to a deeper realm of magic. One of the best books I've heard all year. Harrison is the Monster Detective, a storybook hero. Now he’s in his mid-30s and spends most of his time not sleeping. Stan became a minor celebrity after being partially eaten by cannibals. Barbara is haunted by the messages carved upon her bones. Greta may or may not be a mass-murdering arsonist. And for some reason, Martin never takes off his sunglasses. Unsurprisingly, no one believes their horrific tales until they are sought out by psychotherapist Dr. Jan Sayer. What happens when these questionably-sane outcasts join a support group? Together they must discover which monsters they face are within, and which are lurking in plain sight. 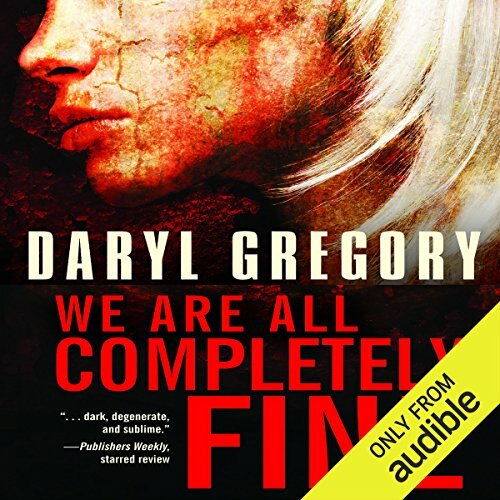 ©2014 Daryl Gregory (P)2014 Audible Inc.
We Are All Completely Fine by Daryl Gregory is original and unique. I love Urban Fantasy and was drawn to this book because of the unusual way the narrative is presented; it’s told from the point of view of several characters attending a support group hosted by the only psychotherapist, Dr. Jan Sayer, who believes that their experiences are real and not mostly a result of some sort of psychosis. All the characters are sole survivors of supernatural traumas which cause them to live as social outcasts and Dr. Jan Sayer seems to set the support group up to encourage healing through the sharing of their inexplicable and traumatic experiences. 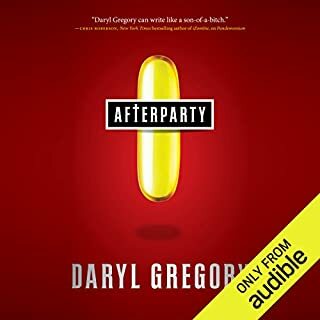 What is particularly enjoyable is the way that Daryl Gregory reveals each character’s experiences and character; because of the support group setting I expected there to be more ‘telling’ but Gregory cleverly presents us with what we may initially consider as stereotypical personalities only to develop them through the novella into rich and unique people. It’s incredible just how well all these unique characters are developed within what is a fairly short narrative. I was initially rather irritated by Stan, he seemed to love being a victim and demanded a certain amount of recognition for his fame as the sole survivor of a strange cannibalistic attack. His story proved to be quite horrific as did Barbara’s; Barbara, a survivor of an attack by a supernatural psychopath, seemed to be the most ‘collected’ of the group, and perhaps she was, I’m still pondering on that point. Harrison, a Monster Detective, whose experiences are largely believed to be fictional is cynical and seems uninterested and of course there is also the seemingly selfless and empathetic Doctor, again she may be exactly that… I hate to give away too much in my reviews, I prefer them not to be an analysis and summary of the plot but rather an encouragement to read or listen to the book yourself. I recommend that you do exactly that. 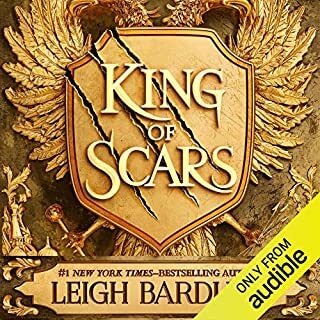 The audiobook is narrated by Tavia Gilbert, to start off with I was distracted by the way all the male characters sounded angry and gruff and all the female characters sounded apologetic, especially the psychotherapist, I would have expected her to sound more assertive. However, Tavia adds a lot of emotion into her narration, it is very clear and once I got used to her particular style I conclude that her narration does add to the narrative. 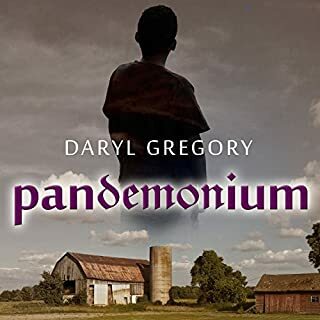 Daryl Gregory’s novella is certainly surprising, although it is a complete story in itself I hope there is a sequel, Dr Jan Sayer’s personal story still has lots to reveal and personally I’d love to meet Stan and the rest of the group in a continuation of their story. “We Are All Completely Fine” is a novella is about sole survivors of extreme traumas with a supernatural not-credible-to-the-authorities flavour, who are brought together by a psychiatrist to “work” in Group Therapy sessions. As time goes by, it becomes clear that the group has not been assembled randomly and that their status as survivors may be only temporary. It sounds like a good, compelling thriller. It isn’t. It’s something else. I’m just not sure what. The book is disturbing and difficult to listen to. The violence and inhumanity that the members of the Group have been through is extreme, repulsive, and shared in an almost off-handed manner that makes it quite chilling. The crippling impact of these events on their lives, sometime decades later, is entirely believable and deeply sad but the style of storytelling, nested in the context of “Therapy” and delivered with a sort of distant intimacy, that reduces the emotional impact until what is left is a kind of unempathic voyeurism. 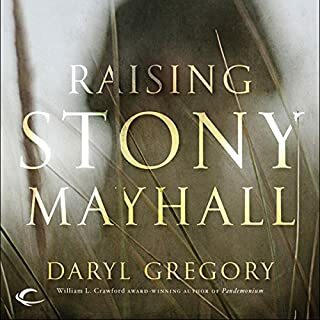 Daryl Gregory writes well, so I’m sure the tone of the book is deliberate, I’m just a little lost about what it is supposed to achieve. For example, each chapter starts from the point of view of an anonymous person who, from their use of the term “We”, seems to be a member of the Group; yet, in a number of cases, this anonymous narrator refers to all the members of the Group, one by one, without using the term “I”. It is skillfully done. It contributes to the clinical but intimate feel of the story. I assumed I would eventually find out who the narrator was and why they’d been kept anonymous. If Gregory did provide an explanation, it slipped by me. Perhaps I’m being obtuse in not being able to work out why Gregory used this conceit rather than a more conventional authorial voice but this tale doesn’t have enough substance in it to make it worth my while to work that hard. The end of the book felt anti-climatic to me. Perhaps Gregory wanted to stress that in life no story ends but for me, reading fiction rather than philosophy, it felt like the author either wimped out off writing a longer novel or had extended a short story to the point that the impact of the ending was lost. 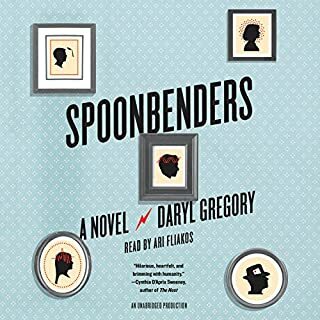 I loved Gregory’s writing but I finished the book feeling disappointed.